(The Express) Engineers came to a halt after stumbling upon the a large statue, which they described as having a “lion’s body with a human head”. 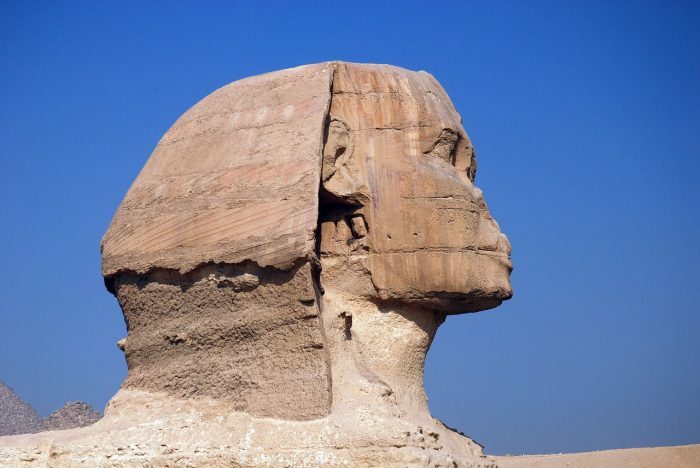 They soon realised they retrieved the world’s second Egyptian sphinx, which originated as far as 2500 BC during the reign of the Pharoah Kafre in Egypt. Mohamed Abel Aziz, the Director General of Antiquities, said the structure has yet to be removed from the ground, and remains embedded in soil until it can be properly excavated.